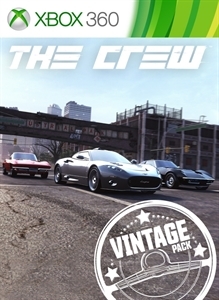 This pack includes 3 new cars: Spyker C8 Aileron, Chevrolet Corvette C3, Chevrolet Corvette C2, official liveries and a set of exclusive cosmetic parts. In-game player level requirements apply to equip car tuning kits. Drive around America with three cars that would enhance the collection of any car connoisseur. For a touch of Dutch speed, the Spyker C8 provides off the wall performance in an alternative package. Originally dubbed the Mako, the Corvette C3 is the third generation of an iconic American sports car. If third time’s the charm then this ‘vette should be your first choice. This sleek-lined Chevrolet Corvette C2 provides everything, with gorgeous lines, a big block V8 and a certified place in American history.